The two types of worms which most commonly affect dogs are tapeworms and roundworms. You should worm your dog every 3 months as wormers are a reactive medicine and will only kill worms, eggs and larvae which are actually present, they do not prevent new infestations. This is especially not only to keep your dog free of worms but to also protect your family from potentially harmful worms. 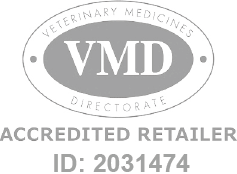 Browse the best wormers for dogs including palatable tablets, pastes and liquid.